Robert Case is a graduate of our undergraduate program, member of the Dean’s Advisory Board as well as the College’s Hall of Fame and currently runs RB Case Consulting Inc. Recently I had a long conversation with someone I deeply respect and admire. She wanted to use me as a sounding board because she is contemplating a career change. My colleague is someone who has managed to get her undergraduate degree while not only working full time, but advancing her career at a pretty rapid pace. Now she’s preparing to sit for her MBA, also while working full time. Darned amazing, when you consider she’s also a mom and contributes time to several charitable endeavors. The reason for the career change? The company she works for has recently been acquired, and is going in directions she’s not happy with. The reason she wanted to talk? She feels she’s at a cross-roads. Her career path has taken her across several functional lines, and she’s now wondering how that looks on paper….what do I stand for?, She was asking. I know this person very well. She’s has been a direct report to me. I’ve promoted her on more than one occasion because she has a proven track record of getting things done, of accepting new challenges with a sense of adventure, excitement and intellectual curiosity, and of having that unique talent of bringing people of diverse experience and perspective together. So, it really wasn’t hard to answer her question. I told her she was a generalist – what I like to refer to as a “Student of the Business”….someone who can actually look across functional lines – not only see accounting, and finance, and marketing, and sales, and human resources, and information technology, but more importantly, really see the interconnectivity between all of these critical components of an enterprise. Because of this, she’s an individual who can do something every business I know of needs if it is to continue to grow and prosper. She can build cross-functional teams. That makes her a Silo-Buster. She breaks down the mental walls that seem to grow around departments: A special talent, indeed. I know she’s going to do just fine in whatever new chapter she writes in her professional life. Our new Integrated Business Degree is designed to inspire just that kind of mentality. To help you develop the kind of business vision that sees the whole, the parts, and the sum of the parts. Generalists like to know not only how the all components work – they want to know how all the components work together! If that’s what you’re passionate about, the Integrated Business Degree was designed with you in mind. Perhaps my greatest strength as Dean is that I have had a varied career that touches on every aspect of a running a college. I have been first and foremost, a faculty member, teaching students, conducting research and providing service to my institution and profession. I have been the director of three different programs including one overseas. I have directed two different centers, been a department chair and served as associate dean. I have restructured advising centers, lead student engagement initiatives, redesigned curriculum, raised funds, and run operations. This variety of experiences has helped me connect the dots…to see potential connections across diverse sets of activities and operations that create synergies, provide greater focus and increase yields from our efforts. An example: When I came to the college, we had a very nascent and compartmentalized approach to how we dealt with the outside world. I had a director of communications, a director of development, and a director of alumni relations. Although these people were housed in the same area, they never met as a group and they never coordinated their efforts. So we would have separate “alumni events” and “development events” and “communication events,” with the outcome of these efforts reported to different supervisors at different locations throughout the University. Today, we have an office of external relations that comprises communication, corporate and community relations, development, and alumni relations. We don’t do separate events for these audiences…we do “external relations events” and communicate about “external activities.” This is done in a team setting, where there is joint ownership of the planning, execution and outcome of these activities. The results of these collaborations have been dramatic: our visibility in the community has increased many fold, attendance at all our events is up, corporate sponsorships are up, and fund raising is positioned for a big increase this year. Similarly, we do not have separate advising, career services and student engagement offices in the College. We have a new Office of Professional Development that is charged with all of these activities because they are connected and reinforce each other. We don’t see “advising issues” or “career services issues”, we see “student development” issues. Sometimes the external relations team meets with the professional development team to ensure that the connection among these activities are exploited and strengthened to the benefit of both functions. This involves things like the Cornerstone and Case Competitions, as well as the Joust. The result has been more robust events with higher sponsorship and student engagement. Our integrated business degree is designed to help you do the same thing in organizations of any size. You will not see “finance problems” or “marketing problems”….these by their very definition require “finance” and “marketing” solutions. Instead, you will see “business problems” that may involve marketing and finance solutions, as well as management, accounting, or economics responses. An ability to connect the dots leads to big payoffs for organizations and fast-rising careers for the integrators. Become an integrator and connect the dots to a great career. Round 5 of 0ur Failure Competition kicks-off today. At our Hall of Fame event last February, we featured a video of our alum Mayor Ken Bradley who is also CEO of Florida Hospital, Winter Park. The video starts out with Ken saying the following: “I came to UCF as a failure and left a success.” Ken had seen his dream to enter medical school dashed, but found his future at UCF. He has gone on to great things and now has doctors reporting to him! His achievements landed him in our Hall of Fame, a place where only 61 of our more than 50,000 alums have been recognized for their accomplishments. 1. Each student in our capstone class is asked to write an essay on a failure they have experienced, how it transformed them, and what others can learn from their experience. 2. They are to post these essays in response to this blog along with the section number and name of their instructor. They must complete this exercise by 5 pm on November 7th. 3. Each instructor will then choose a winner from their section and explain why they chose the essay they did. The deadline for them to make the selections is 5 pm on November 14th. 4. Those winning entries are then sent to me. I will select three finalists. 5. The finalists will be asked to submit short videos based on their essays. They must have those videos to me by Nov 25th at 5 pm. 6. I will then feature one video each day on my blog the week of December 1st, with a vote taking place on Thursday Dec 4th. 7. The winner will get a letter of recommendation from me along with a $500 cash prize. Second place will get $300, third place $200. We have had as many as 1500 voters for the past competitions. With the help of the alumni association, I expect we will have at least that many this semester. If you want to get some sense of the stories that have moved voters in the past, finalists’ entries are still on my blog as prior posts. Look them up. As I have mentioned before, fifty years ago, General Motors (GM) was the world’s largest employer. Like most industrial giants, GM was built on standardization, specialization and stability and the company represented the typical needs of business education: Provide a large, stable company with life-long specialists in areas such as Accounting, Marketing, Management, or Finance. Employees were brought in with one of those degrees, put through internal management training and worked their way through their functional department until retirement. That was the career path most business school graduates could expect and colleges built educational programs accordingly. That marketplace is largely gone, yet, our educational model has remained pretty much the same. Today, students must prepare for a more diversified economy that offers shorter- term employment prospects and values customization, connectivity and speed. Companies need people who can innovate by connecting the dots, communicate effectively with diverse groups of people and assume different roles as the firm responds to a turbulent marketplace. This will require employees who understand the entire enterprise, see opportunities in emerging trends, and can pull together diverse resources to create value. As such, faculty must work in new ways to provide the kind of education that produces such “integrators” by changing the culture, structure, and substance of the business school experience. Last year, we began work on this new business school experience. Faculty, alums, prospective employers and friends of the college all contributed to a new program and structure that will launch in 2015. The centerpiece of this new experience is the Integrated Business Major – a program designed to create holistic business professionals with the attributes to succeed in today’s economy. In addition, the specialty degrees of Accounting, Finance, Marketing, and Human Resources will become more focused and technical to meet the increased data analytic requirements of working in staff positions in these areas. In all, we are raising the standards for all of the degree programs in the college, while providing an educational experience that better reflects the demands of the marketplace. In many ways, our new approach is similar to long-standing practice in the medical profession. General practitioners treat the entire patient by providing people with a wide range of services that meet most of their needs. Then there are the specialists like cardiologists, urologists, endocrinologists and others that meet very specific needs. Just as patients want great physicians to handle each need, businesses are demanding personnel in the same way – a pool of outstanding integrators who understand the entire business and a higher quality pool of specialists (either housed internally or contracted) to tackle more technical issues. In the end, we expect that this new mix of majors and culture of engagement will produce graduates that: 1) are great collaborators and communicators; 2) can get outside their comfort zone, transition effectively from project to project and take risks; 3) are able to find and use real-time data to make good decisions; and 4) are problem solvers. These qualities transcend “majors” and will be a competitive edge for our students as they compete for their jobs, build varied careers and aspire to leadership. I have seen so much great work and enthusiasm from the CBA faculty members, staff and friends of the college who have led this effort. We have some hard work ahead and our sense of positive restlessness will no doubt alter our approach as we move forward, but we have embraced risk and I am looking forward to see how these changes transform this college and the lives of our students. We will keep you all informed as we move forward, stay tuned…. Our failure competition starts soon and this was my favorite guest blog post of the year. If you are in Lonny’s professional development class, this will help you understand the guy in front of the room. Lonny Butcher is Director of Professional Development in the College. His utility belt won’t make you a super hero, but it will help you compete for a career your mom will want to brag about to her friends. 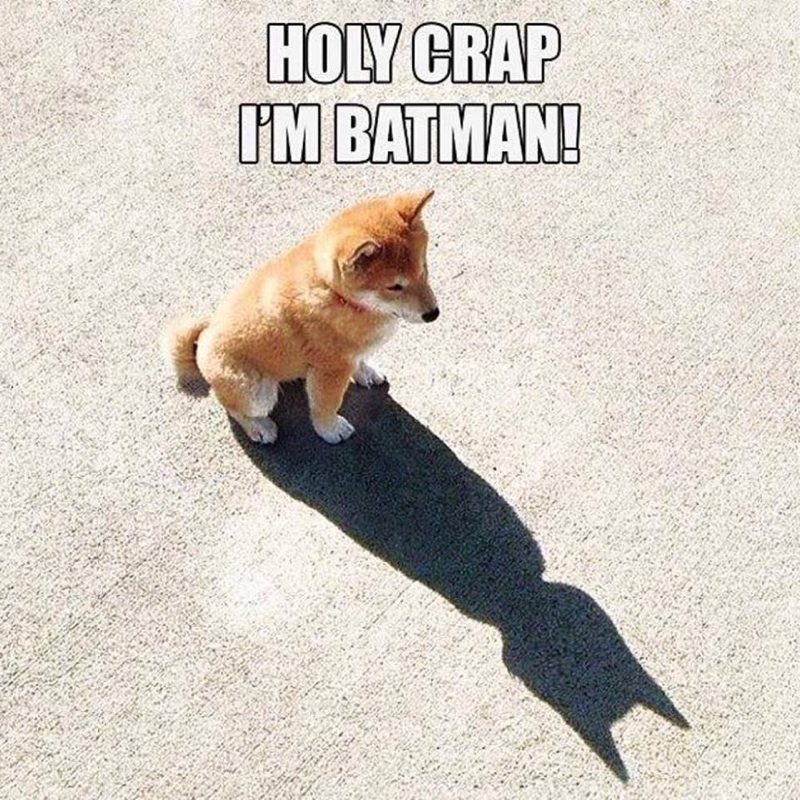 His failure story explains why we call him Batman…….. The key to failure is that at it’s best it goes beyond just teaching you a lesson or reinforcing something you should have remembered; It shapes the person you become later in life. In 1989 I barely graduated from LSU with a BS in what was then called “Personnel Management.” At school I was neither engaged nor motivated. Most times I was barely sober. I made good money working on oil rigs. School was just a place to rest between hitches. But, my 2.2 GPA and lack of any work experience beyond scraping bird poop and painting meant I wasn’t recruited for a big job by any oil companies. So I started my career and time marched on. Actually, it was just my job. Human Resources was ok, it paid the bills but was more like a date with a friend than a passionate affair with someone you love. In 1994 I learned that my mom, a lifelong smoker, had esophageal cancer. She had her esophagus removed and underwent radiation to burn away whatever cancer was left. The strong, vibrant, artistic, opinionated person who could conquer anything was now frail and vulnerable. For 4 years we thought it was gone. In 1998 it came back, a tiny bit that they missed had grown. This time she went through chemo that turned her into a fragile 90 pound shell that could barely lift her head. Eventually she was in the hospital with a feeding tube. My mother died on August 9, 1999; four weeks before I started a chance gig as an adjunct instructor in UCFs College of Business. In the classroom I learned that I could reach students like me who were not high performers. Students who weren’t stupid, just distracted by life or unfocused. I could arm them with something (knowledge) that would save them later. I loved teaching. It was the first activity that was important enough to me that I wanted to be good at it. Just doing wasn’t good enough. I wanted to be awesome because I knew the better I was and the better my class was, the better off my students would be. Class content had to be real; I didn’t care if it was hard. Mom was a reformed smoker in her last years; I was a reformed slacker. To put it politely, mom was disappointed with my student years. I know because she told me. After graduation, I never did anything (with the exception of giving her a grandson that she loved) to make up for being such a schmuck. After she died, I found it. The Ambassadors call me Batman because of a crass (but amusing!) rant I went on during a meeting. It’s even on my DSP jersey. I like the nickname. Batman doesn’t have a superpower, he’s just some dude. But he’s driven to do what he does because of what happened to his parents. And no matter how many bad guys he puts away, he can never get them back. He can never reconcile the thing that pushes him to act. All I want to hear is that my mom is proud of me. That I finally found a way to make up for wasting my opportunity to go to college. If I can help a student in any way I will. That means calling them out for making excuses or doing dumb stuff. If a class isn’t effective, I want to fix it. If a service isn’t effective, I want to change it. And I want to do those things immediately. Because spending time talking about doing instead of doing awesome things keeps me from making up for my failure.